What Other Factors Should You Consider in a Rehab Center? Ambien abuse can lead to a number of serious long-term effects on your health and relationships. Prolonged abuse of Ambien can also result in withdrawal effects that may be life-threatening. Ambien addiction treatment can take many forms. It helps to consider all your options before making a decision. How serious is your addiction? Should you pursue inpatient, outpatient or 12-step rehabilitation? Where is the recovery center located, and how qualified are the staff? Who Answers? to speak with a treatment support specialist about addiction recovery programs near you. Take the first step toward a sober, healthy life. Ambien is prescribed to people who cannot sleep. It is designed to relax the user and cause them to fall into a deep, restful sleep, quickly. However, for some, the reaction to Ambien is much different than expected. These people may take Ambien and experience feelings of euphoria and feel empowered to handle all of life’s stressors. 1 These feelings can result in people wanting more and more Ambien and eventually lead to an addiction. Alarmingly, even people who take the drug as prescribed can develop a dependence on it. Taking more of the drug than prescribed greatly increases the chance of addiction. People who’ve become addicted to the drug may continue using it, in part, to avoid unpleasant withdrawal symptoms – reinforcing a pattern of compulsive use. Unable to stop using or reduce use of the drug. Taking more Ambien than intended. Using in dangerous situations such as driving or operating machinery. Location and length of treatment can impact cost. The type of facility chosen will have the greatest impact on the expense. A luxury facility with all the amenities can cost between $20,000-$80,000 a month. Other inpatient facilities can cost between ,000 and ,000 a month. Location and length of treatment can also impact costs. Choosing an outpatient plan will reduce the costs, as room and board will not be included. Some church programs also offer free treatment to those in need. Using insurance. Costs can be defrayed with an insurance plan, including Medicaid or Medicare. You can also search for plans on the health insurance marketplace created under the Affordable Care Act. If you have questions about what kind of treatment your insurance will cover, contact a treatment support representative at 1-888-319-2606 Who Answers? . Paying without insurance. Many addiction recovery programs allow participants to work out a payment plan or pay using a sliding scale. If none of these options work for you, a loan or credit card can be used to finance your recovery. Sleeping pill dependency can be very difficult to overcome. The treatment needed may take longer and be more intensive than you realize.2 That’s why it’s important to make sure you are following the best plan for you. Talk with your doctor and research all the available options to determine which type of program is best suited to your needs. The time and type of treatment will vary depending on your personal circumstances. The following treatments are available for someone trying to recover from an Ambien addiction. This type of treatment involves living in a facility that offers all-inclusive care. While there, you will participate in therapy sessions, both individual and group, receive medical treatment if needed, and learn how to cope without Ambien. Residential programs provide a place for you to live throughout the treatment period, which typically can last for 30 days, 60 days or 90 days (or more, if needed). The length of your stay will be determined by the severity of your addiction. Executive or CEO addiction recovery programs are designed for the businessperson who needs to remain connected to work. These programs have space where you can work and even conduct business meetings onsite. Luxury rehabilitation programs strive to provide a high level of privacy, comfort and extra amenities while in recovery. These extras might include fancy rooms, higher-quality food and swimming pools. Outpatient rehabilitation programs: are those in which you live at home while going through the program. Intensive outpatient (IOP) options require participation at regularly scheduled recovery workshops and other therapeutic sessions throughout the week. 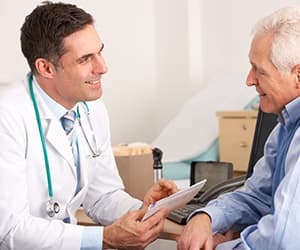 Partial hospitalization programs are programs where you spend some portion of the day in a hospital setting, but you are still allowed to go to work, participate in activities and live at home. Partial hospitalization programs can be terrific options for individuals with concurrent mental health or medical issues. Therapy and counseling can also help you recover from Ambien abuse. It is important to find the option that works best for your situation. Contingency management: is based on the idea that environmental factors play a large part in addictive behaviors. It seeks to eliminate positive reinforcement for the addictive behavior and accentuate positive reinforcement for remaining clean and sober. Cognitive behavioral therapy or CBT: works to replace negative thoughts that can lead to drug use with positive ones. Motivational interviewing: Or motivational enhancement therapy seeks to internally motivate you to change by helping you see the need to stop your addictive behaviors and want to change. Group therapy: or individual therapy involves speaking with a certified counselor and others in the same situation. Talking about your feelings and what is going on can be beneficial in seeing the need to stop destructive behaviors. Support groups: are usually made up of other people who have the same addiction. Talking with those who know what you are going through can be very helpful. 12-step programs are designed for addicts to follow a set of guiding or spiritual principles that will help them tackle their addiction. Twelve-step programs offer a specific program to follow, which can give comfort and a sense of purpose. The biggest program for people suffering from Ambien addiction is Pills Anonymous. This group has meetings in cities all over the world. Find a meeting by going to their website and searching in your local area. Occasionally, people who suffer from Ambien addiction also suffer from other medical or psychological problems–a condition known as dual diagnosis. The biggest co-occurring issue people with Ambien abuse struggle with is insomnia. Dual diagnosis treatment can help address insomnia or underlying issues leading to insomnia during substance abuse treatment. Mental, medical and/or behavioral health issues need to be addressed during addiction treatment so they don’t interfere with the recovery process. A doctor can provide insight on how to manage additional needs in recovery. Who Answers? to speak to a treatment advisor about your insurance coverage and how to pay for Ambien rehab programs. Ambien rehabilitation can take many forms. But all treatment programs will follow the same basic steps. Speaking with a doctor or intake counselor. Developing a plan of recovery. Obtaining a brief medical history. The questions the staff will ask will help them develop a personalized plan that will offer you the best chance of long-term recovery. A doctor should monitor the Ambien detox process. Ambien detox involves allowing your body to eliminate the drug from your system. It is important to be in close contact with a doctor during the Ambien detox process so that they can help alleviate unpleasant withdrawal symptoms, manage any dangerous ones and monitor your progress throughout. The process usually starts by tapering the amount of Ambien you are taking–slowly weaning you from the drug. Tapering should always be performed with a doctor’s supervision because you don’t know how reducing the amount of Ambien in your system will affect you. Ambien is a fast-acting sedative. Because of this, the amount of Ambien in your system will vary widely based on when you took the last dose. 3 This does not create a good environment for a consistent, easy-to-adhere-to tapering schedule. Any time you stop taking Ambien, whether by tapering or “cold turkey,” withdrawal symptoms are likely to result. The seizures that may be experienced during acute sedative withdrawal can be dangerous, if not life-threatening – so “cold turkey” or unsupervised withdrawal is not recommended. While in an Ambien addiction recovery program, an important part of your recovery will be to attend therapy sessions. In these sessions, a licensed professional will help you determine things that might have triggered your addiction and also teach coping skills, stress-relieving exercises and ways to keep from returning to Ambien or other addictive behaviors. Many people who have developed an addiction to Ambien initially took the drug to help with sleep disorders. Their insomnia issue is likely to still be present, and will need to be addressed during recovery. Sleep disorder therapy will help with this. By learning new patterns of behavior you can find ways that will help you fall asleep without the use of Ambien. Melatonin and valerian root are examples of natural, non-habit-forming sleep aids. They can be purchased without a prescription. After completion of a drug treatment program, it is very important to participate in aftercare. This can be regularly scheduled or on an as-needed basis. But continuing to receive counseling or speaking with others who have been in your situation can help you continue to live clean and sober. When choosing a recovery program, there are many factors to consider. Inpatient recovery centers allow you to focus on recovery without the distractions of everyday life. They also will have help available to you 24 hours a day, if needed. Living in a facility can have its drawbacks, however. Being separated from friends and family can have negative effects on these relationships and can affect your job or school activities as well. 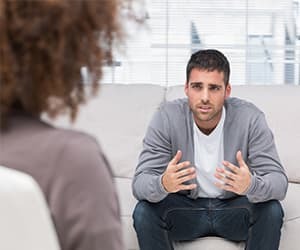 Outpatient programs will typically not cost as much, and because you are living at home, they will allow you to maintain a job or keep up with your relationships. Family and friends can be a great place of support and help. Staying close to home can reduce the cost of treatment. But traveling away from the addictive environment can be very helpful in the recovery process. It’s also important to determine the certification and qualifications of the facility and staff that will be aiding you in your recovery. The counselors and other staff members should also have specific experience in treating Ambien abuse, or at the very least, prescription drug abuse. This will give them the ability to better meet your needs as you recover from your Ambien addiction. The program should also place a high emphasis on the importance of individualized treatment plans. A program that tries to fit all patients into the same mold will not have the same level of desired results. Plans with you in mind have a much greater chance of long-term success. If you’re ready to take control of your Ambien addiction, or get help for a loved one, contact a treatment support specialist today at 1-888-319-2606 Who Answers? to get information about substance abuse programs.
. Courtet P, Pignay V, Castelnau D, Boulenger JP. (1999). Abuse of and dependence on zolpidem: a report of seven cases. Encephale. Nov-Dec;25(6):652-7. French. PubMed PMID: 10668611.
. Victorri-Vigneau C, Dailly E, Veyrac G, Jolliet P. Evidence of zolpidem abuse and dependence: results of the French Centre for Evaluation and Information on Pharmacodependence (CEIP) network survey. Br J Clin Pharmacol. 2007 Aug;64(2):198-209. Epub 2007 Feb 23. Review. PubMed PMID: 17324242; PubMed Central PMCID: PMC2000636.
. Langtry HD, Benfield P. Zolpidem. A review of its pharmacodynamic and pharmacokinetic properties and therapeutic potential. Drugs. 1990 Aug;40(2):291-313. Review. PubMed PMID: 2226217.
. Chen SC, Chen HC, Liao SC, Tseng MC, Lee MB. Detoxification of high-dose zolpidem using cross-titration with an adequate equivalent dose of diazepam. Gen Hosp Psychiatry. 2012 Mar-Apr;34(2):210.e5-7. doi:10.1016/j.genhosppsych.2011.09.012. Epub 2011 Oct 28. PubMed PMID: 22036737.